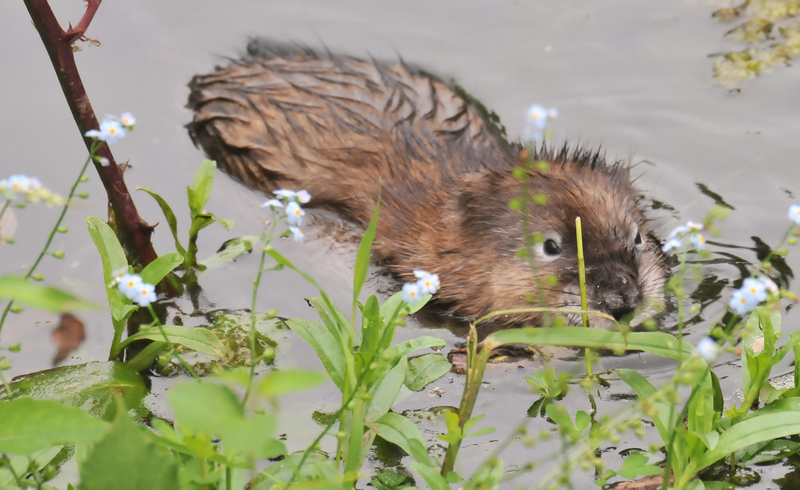 We spotted a young Nutria swimming to the bank and peeking through little flowers. Or was it a muskrat? You decide. 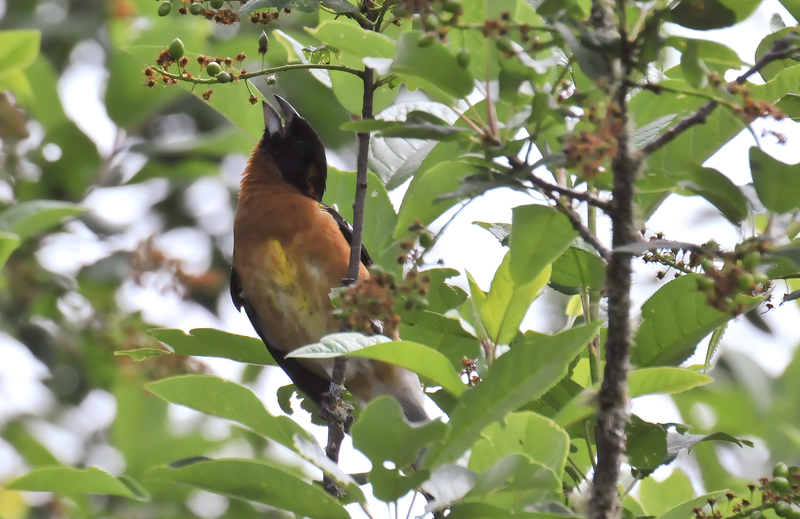 Feeding in a bush was a Black-headed Grosbeak. 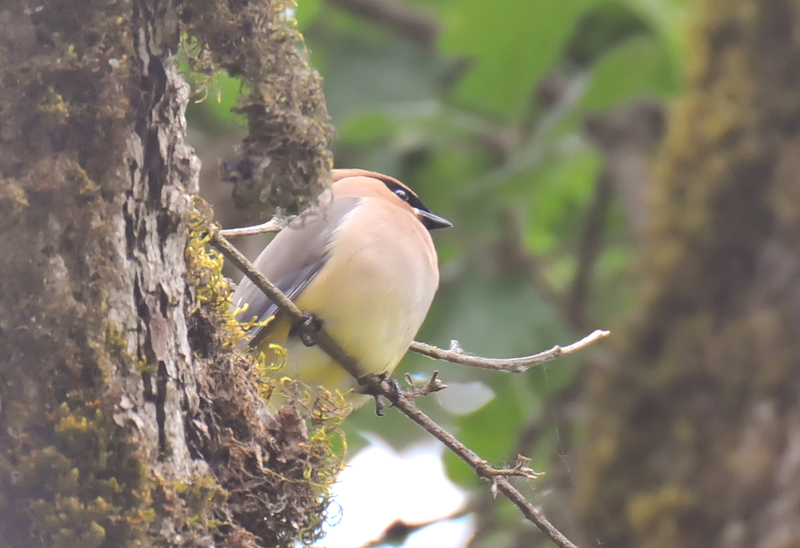 A Cedar Waxwing as seen from below. 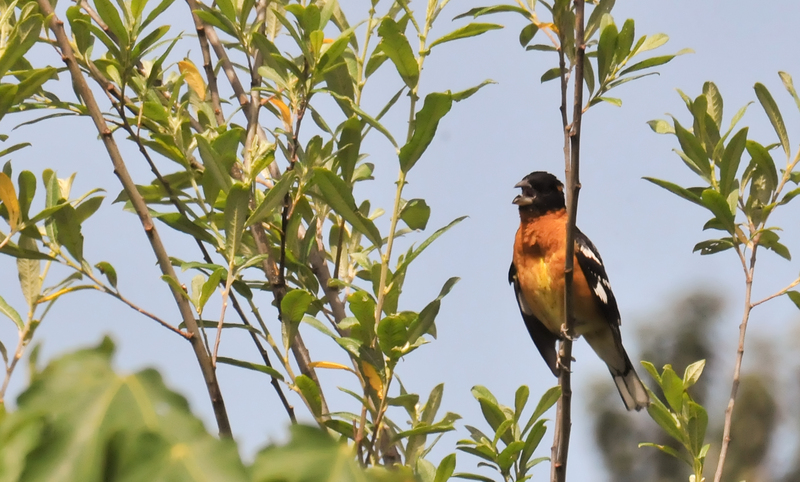 A Black-headed Grosbeak sang happily at Mt. Pisgah Arboretum. 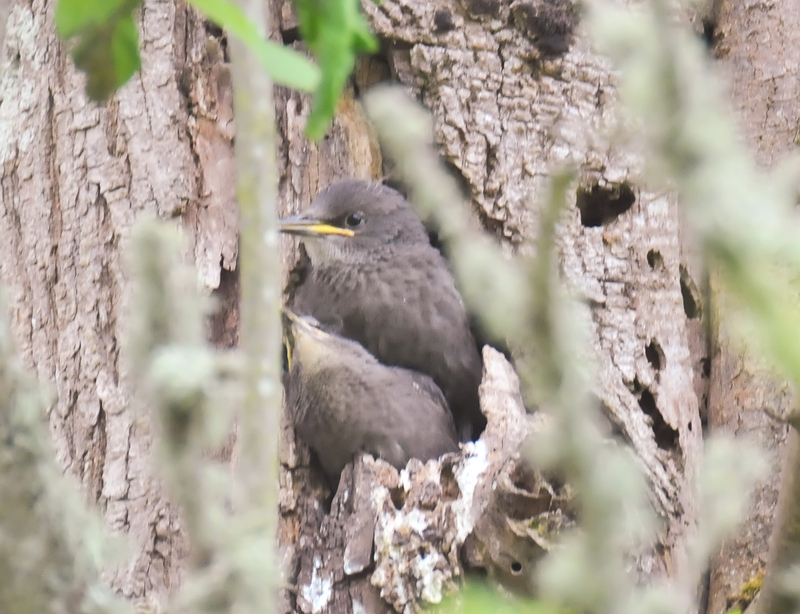 A cavity in a tree was home to two Starling fledglings. 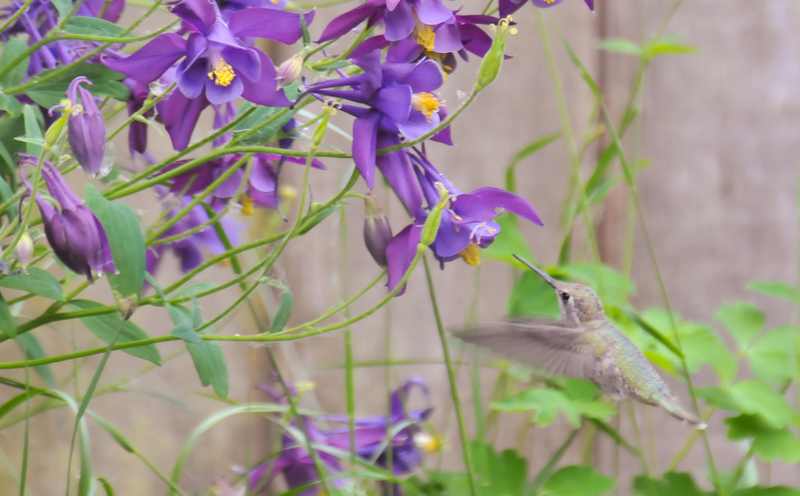 An Anna's Hummingbird backing out of the Columbines. 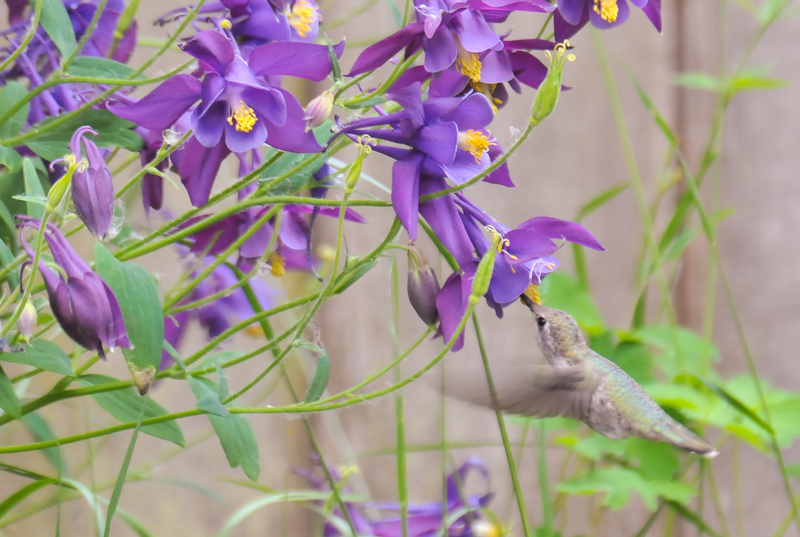 An Anna's Hummingbird in the Columbines. 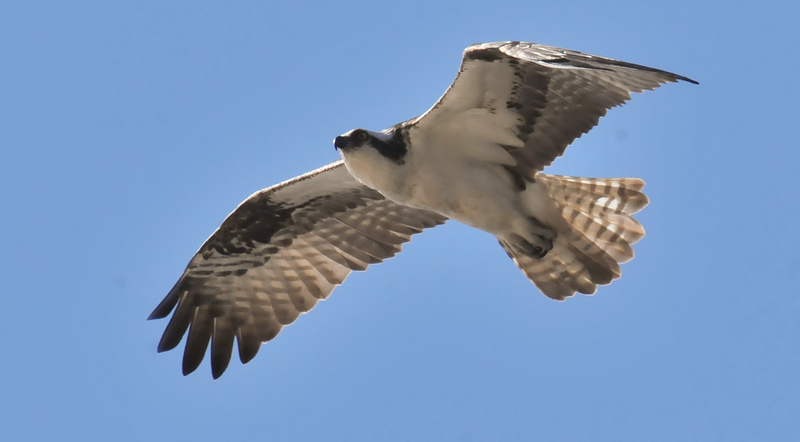 Another Osprey sailing along at Honeyman's. An osprey perched on a long limb.